SBI Ltd carry out all types of commercial canopy and awning repair work in . We repair all types of awnings, from folding arm awnings, drop arm awnings, full cassette awnings, semi cassette awnings, open awnings, all weather awnings, terrace awnings, patio awnings, approach canopies, Dutch canopies, French wedges and giant umbrellas. We are also provide repairs for some of the worlds leading awning manufacturers, Winsol, Markilux, Weinor, Frigerio, Gibus, Arquati Spa, thomas Sanderson and Voss to name a few. We can repair, ripped covers, broken arms, burnt out motors, broken out slipping gear boxes, broken barrels, snapped timber front rails, rotten timber front rails and tacking fillets, torn and frayed covers and valances. With a wealth of both new and used awning replacement parts and total refurbishment service to all types and styles of awnings we are your one shop stop. If your current awning is beyond repair we can offer you a professional written inspection list detailing the reasons what is wrong with your awning and why it is beyond repair, the report can be passed to your insurance company. Some insurance companies will cover the cost of replacing awnings that are beyond economical repair less any access charges if they have been vandalised or have broken in storm damage. A good proportion of our work is carried out in central London and due to the limited parking and access to commercial buildings, we normally work outside of your business opening hours. Over the last 15 years we have carried out thousands installations in and around and we are regularly used by other awning companies, to repair awnings on their behalf. We work closely with designers, architects, shop fitters and the clients to make sure that we deliver on the given brief, on budget and on time. We have a team of sales advisors, surveyors and installers that can visit you in to give you advice and work out various options and costs for awning repair. 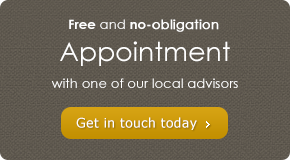 Call one of our friendly team today and book an appointment to discuss your requirements, please call free phone 0800 0742 721 at anytime.